Rick Grimes. If you are a fan then you know of whom I am talking about but if you don’t then you are missing out on one of the best shows on air today, The Walking Dead. The Walking Dead is being aired on the AMC. Its popularity has got The Walking Dead its 5th season, besides the AMC, The Walking Dead is also available on Netflix till the 4th season. So if you haven’t had the chance to caught on this show yet then you have the perfect show for binge watching. A bit about the show before we go any further, The Walking Dead is based upon the Comic Book of the same name published by IDW Comics and written by Robert Kirkman. Though the show may not be completely faithful to its comic book counterpart but it has its moments and a knack of keeping its viewers on the edge of the seats. The story is about a group of survivors living in the aftermath of a zombie apocalypse. Rick Grimes is the leader of the pack and the main protagonist of the show. The show is very different from your regular zombie movies. It explores the idea of the fact that humans can be the most dangerous beings even when all hell has broken loose in the world. You will find some very obscene scenes in the show so we suggest that you tuck your kids in their beds before you start watching The Walking Dead. Regarding the performances, every actor performed wonderfully and the director has worked very hard on developing the characters. There is a lot of depth in the story and you will quickly fall in love with some of the characters. Daryl Dixon played by Norman Reedus of Boondock Saints. Daryl Dixon is the only character in the show who doesn’t exist in the comics. Word has it that Norman Reedus was auditioning for the character Merle Dixon but he was so good that they decided to give him a different role and for that the producers of the show created a whole new character. Daryl Dixon also happens to be a fan favourite, as fans of the show have made it clear that if the show kills Dixon they will riot. Overall this show is very well written and directed and has a very high rating amongst the fans and critics. If you haven’t had the chance to catch up on this show yet then we suggest that you get on it. Moving on to the part where it gets a wee bit disappointing. 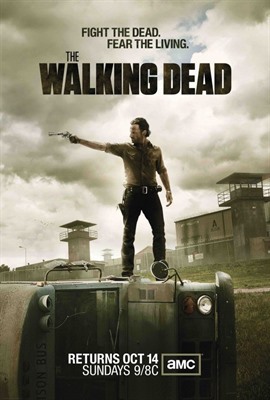 The Walking Dead airs on The AMC channel and its website which is only available to the viewers in the USA. If you are living outside USA or are travelling to a different location than you cannot watch The Walking Dead. But don’t worry, we got you covered. In order to watch the current season on The AMC or the previous 4 seasons on Netflix you need to get a subscription of SmartDNSProxy. SmartDNSProxy will unblock The Walking Dead on The AMC outside of USA. You won’t have to wait year long for the DVD or pirate it. You can pay for The AMC services and watch the show from anywhere in the world with SmartDNSProxy. In order to get our services you need to go to our ‘Signup Page’ and fill in the fields to get access to our service. Setting up SmartDNSProxy is also easy all you have to do is go to our ‘How to Setup’ and we will guide you through the process with ease. Get SmartDNSProxy now and watch The Walking Dead on the AMC or on Netflix. You won’t be disappointed.